I have participated in a few types of motorsports in my life, Dirtbike Hare Scrambles, Dirt track circle track car racing, autocross, drag racing. This is especially true when someone is spinning out, causing wrecks etc. Racing has been a humbling experience for me. It’s easy sitting in the stands critiquing someone, it’s a lot tougher stepping up to the line. Have you taken the challenge? Have you done any racing? 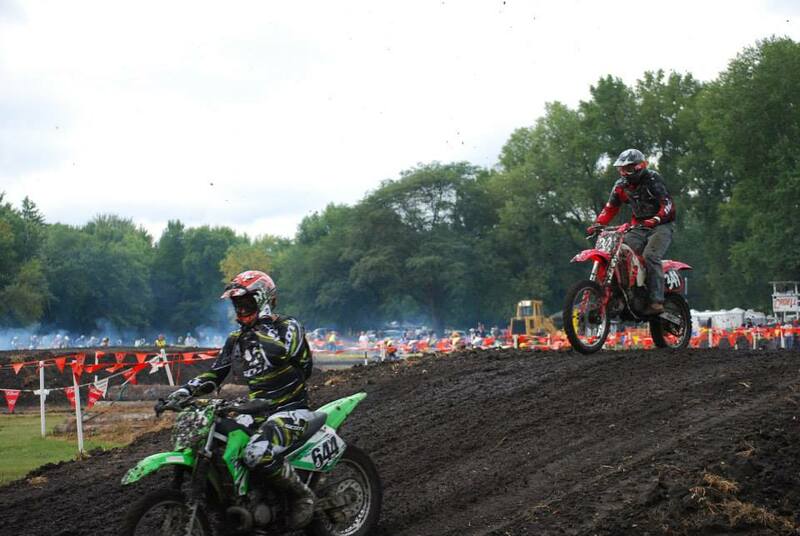 I participated in my 2nd Hare Scramble on 9-7-2014 in New Hartford, IA. For those of you who don’t know, a Hare Scramble is a dirtbike race that goes through woods, over beaches, over obstacles etc. It is a 2 hour long race, for the class I ran. They are a ton of fun. Unfortunately I jumped in way over my head! There are multiple classes for Hare Scrambles, AA (really really really fast), A (really really fast), B (still pretty fast), C (novice), the main classes are for riders 30 and under. There are also all the same classes with vet and Sr. on the end of the name, these are for older riders. I have a good number of friends who ride and we all rode this same race last year (it’s 10 miles from our city.) We all rode C class which is a 1.5 hr race. I finished about middle of the pack and was pretty satisfied with that. It was my first race on a dirtbike ever. The C class also rides by itself so you aren’t getting passed by faster riders to often. The AA, A, A Vet, A Sr, B, B Vet, B Sr all ride the race together. They start in that order with 1 minute between each class start, to space the groups out some. Our friends were riding B class. (I’m not sure how they are doing, never watched). We’d get more riding time 2 hrs vs. 1.5 in C (for the same entry cost). We’d get the chance to ride with faster guys and learn from them. So we started the race. I was immediately behind due to a bad kick start. (You still kick start your bike when the horn goes off, which is cool, vintage LeMans style). Eventually I was passed by a some of the B Sr. riders and a while later some AA and A riders started to lap me. By the last lap I was wishing the race to be over. I finished 17 of 19 overall, and one of the guys behind me was a friend who had buried his bike in a mud hole so he was laps behind.Here are the results for the Hare Scramble I was in this year. 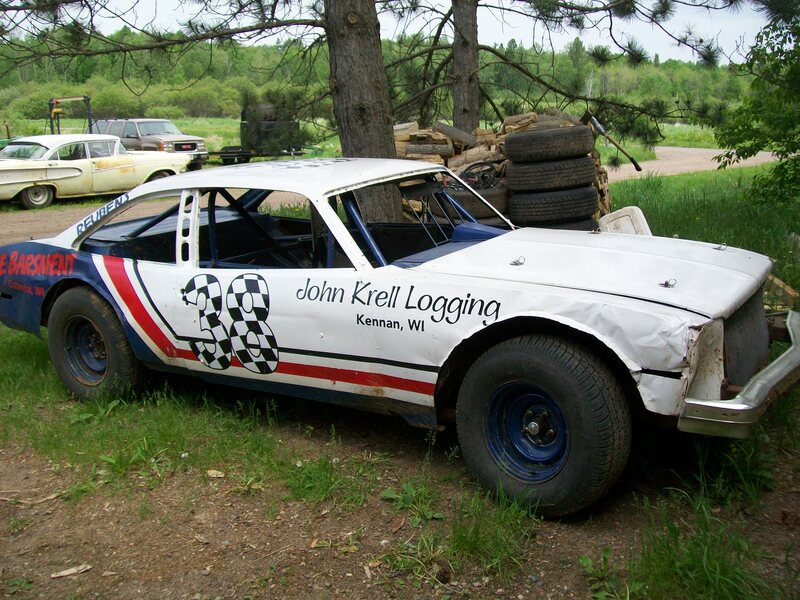 My brother’s race car, before I smashed it…. Another type of racing I’ve participated in was dirt track car racing. Here is the unfortunate proof of that endeavor. My brother who races pure stock circle track let me race his car one time. I made it through the heat race, in last place, without spinning out, but rather slowly. The next race, the feature, I spun out 2x, while in the back of the pack, and the second time a fellow competitor crashed into me, basically wrecking the car. I’m definitely not upset (although my brother might be) with the other driver. While he could have avoided me, I also could have not been spun out in the track…. 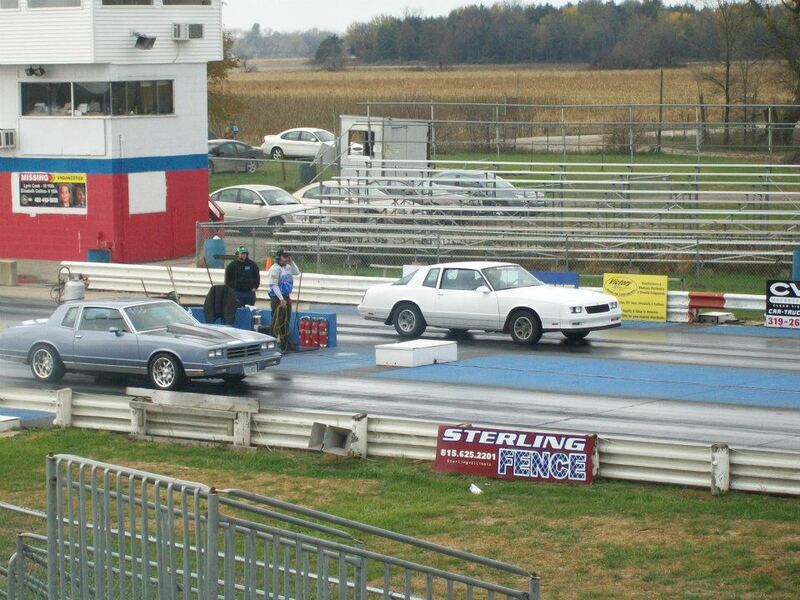 I have also drag raced, which seems easy when you look at it, go straight, mash the gas. Not easy once you try to get traction, shifting, etc all right. Check my write up about drag racing for more on that. And the last type of racing I was part of was autocross, again, harder than it looks. Now that I’ve put all my embarrassing show of racing on display for the world what is my point in all of this? Like I mentioned at the start, racing is harder than it looks! Every time I race anything I become humbled. I remember that the race is not really against the other competitors but against myself (at least that’s what slow people say). You also usually can gain a lot of camaraderie with fellow riders drivers, at least at the smaller events like I’ve participated in.. Fellow drivers or riders are willing to give you pointers to make you faster and safer. Overall, it has been great every time I have raced. I have learned a lot and met a lot of great people. Hopefully you remember how hard racing is next time you are watching it and start to want to criticize the drivers. Of course when you get to professional drivers, there is a higher expectation, but the difficulty it takes to drive those cars is incredible. Just try driving a slow car or bike and you’ll learn. The point of this is not to dissuade anyone from participating in racing. Of note is that I’m obviously not an expert. Part of some of my poor finishes have to do with lack of experience. The general thought is that 10,000 hours makes you an expert, if that’s really accurate or not there’s no argument that more time practicing any skill makes you better. And even for dirt bike riding, which I’ve been doing for years, I have done very little riding this year (10 hours about) and very little racing, 2 total, so I am currently considering if putting more time to getting better at hare scrambles is something I want to do or not, I only have 5 years until I’m considered a senior. In the end, you have to do something for your love of it, not for the glory. You should participate in anything you think you can for the experience. Just make sure you have some idea of what you are getting into. It’s always best to talk to a friend who does it, but if you can’t or don’t know anyone, you can still go. Participate! What racing or competition have you taken part in? Did you do good? Bad? This entry was posted in event, Uncategorized and tagged dirt bike, dirtbike, drag racing, hare scramble, how to race a dirt bike, racing, racing dirt bikes by hooglanda. Bookmark the permalink.